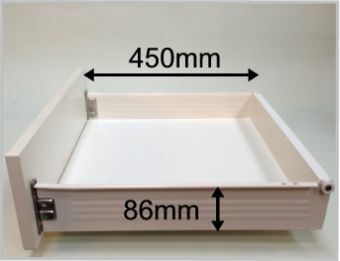 SHALLOW Blum Metabox replacement drawerbox. 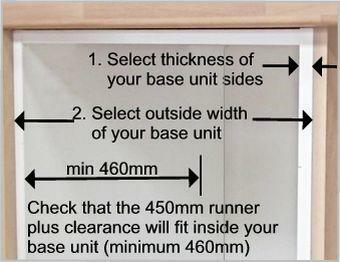 This was to replace a 20+ year old B&Q drawer, made of plastic and which had broken. 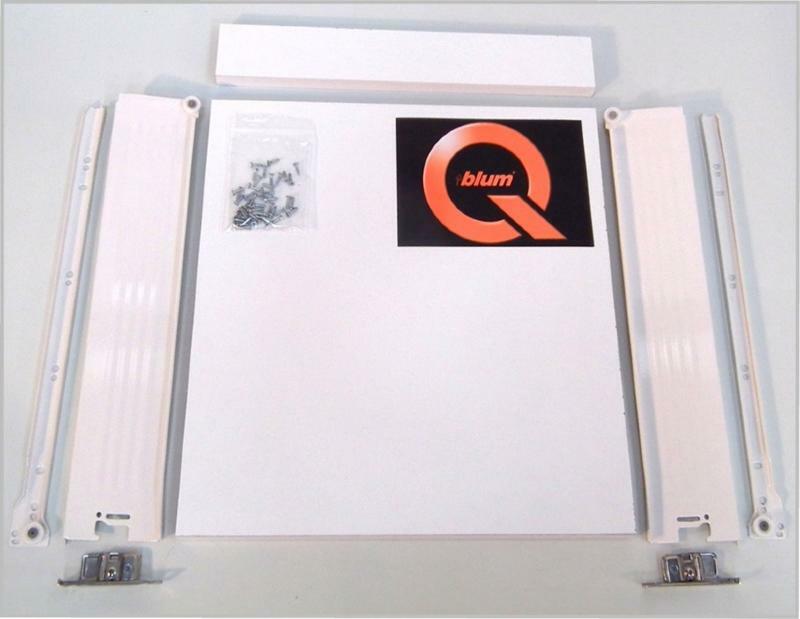 The original parts were by Blum and so this was almost a perfect replacement. I say "almost" because on the old drawer the runners are at the bottom but on the new the runners are at the top. And so I have to reseat the runners on the side of the cabinet! However this replacement is much more robust, being made of metal. Great products. 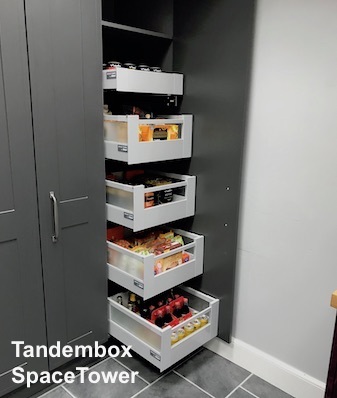 Easy to assemble and install. 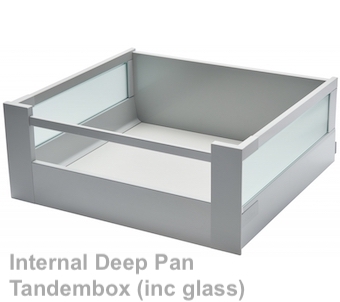 Highly recommend as replacements to old kitchen drawers that are made from flimsy materials. 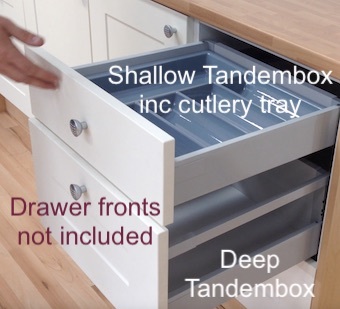 The thickness of the base of these drawers is excellent and means they can handle heavier weights from cutlery etc... where a lot of drawer bases would buckle and collapse. 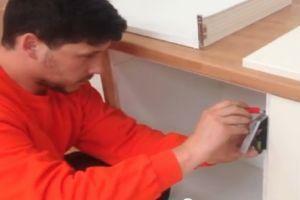 They fitted perfectly and they work. Very clever kit with good adjusters for a perfect fit. 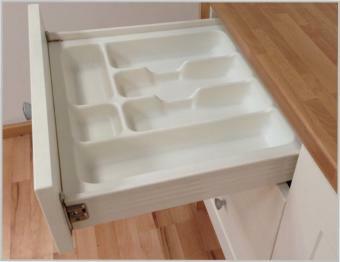 The shallow metabox is an excellent replacement for a kitchen drawer unit that was 30 years old with the original company that fitted it long gone. Easy to construct and great quality. I asked for and received a hard copy of the instructions, but really shouldn't have worried as the online videos are very easy to follow and made fitting a breeze. I wouldn't normally leave any feedback for online purchases, but on this one occasion. I would highly recommend both the product and the company. 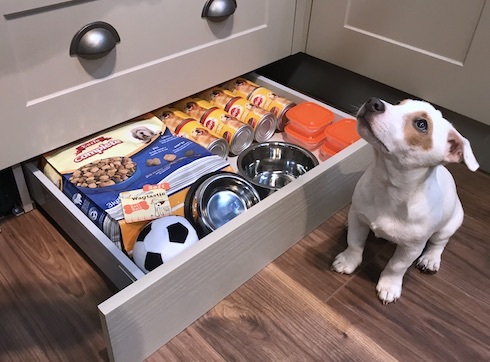 The drawer boxes are very Good. Well made product and good quality. Thank you.